The Rapid decreasing solar panel cost and capacity additions. Solar energy is one form of renewable energy that has become very popular in the recent days because of the rapid decreasing solar panel cost and technology advancement. For instance, in the U.S. the market for solar photovoltaics has grown in recent years accounting for about 12% of global PV installations in 2013. In addition to solar PV technology development, the other reason for increased solar PV capacity additions can be attributed to the development of innovative leasing and financing options that lower the up-front costs to households and businesses. As a result, solar PV capacity additions in the U.S. had reached to almost 5GW by 2013. The solar energy technology is increasingly becoming cheaper and in some countries such as Chile; solar thrives with no subsidies and thus now it is as competitive as low cost sources of energy such as coal. In the U.S., the solar panel cost has reduced by 100% since early 1970’s when the cost of solar was about $100/watt and today it is only $1/watt. 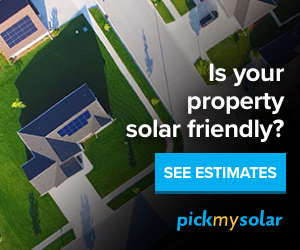 See how this solar panel cost calculator can help you determine the cost of going solar. Solar energy has very minimal operation and maintenance costs making it more attractive than any other form of energy. It doesn’t require you to buy fuel to run because all that is needed for your PV system to run is sunlight. As a result, with solar energy, the major cost is the purchase of the PV equipment which is usually a high initial cost, but once the equipment is paid for; no fuel needs to be purchased to run your solar panels since the PV technology only needs sunlight to excite electrons in the silicon semi-conductor material which in turn creates electricity than can benefit a household or business for about 25 years to 30 years. Solar energy doesn’t need costly maintenance activities and depending on the on the mode of ownership selected i.e. whether direct or third-party ownership you can have zero maintenance costs. With third-party ownership you don’t have to worry about any maintenance costs because they are all catered for in the leasing or solar PPA agreement which you sign when you decide to go solar. Learn more about this type of solar panel financing to capture the difference between direct ownership or third-party ownership of a solar PV system. If you own your PV system, the maintenance involves solar panel cleaning and replacement of the inverter after 11 years of operation. Also batteries can be replaced if your PV system is stabilized using a battery back up system. With solar energy, you can offset 30% to 75% of your energy costs based on your geographical location and whether your rooftop has a good solar energy potential. All that is needed is sizing of your PV system based on your energy requirements. A bigger PV system means more solar energy production and vice versa. Check your specific solar energy potential to see how much solar you can generate on your rooftop. Solar energy is an environmentally friendly technology that can help to mitigate climate change and reduce carbon emissions. See how much carbon footprint you can reduce when you go solar using this solar energy calculator.